Youths drive joy in extravagant lifestyle. Some can go hungry just to buy some very expensive products to show off. But a youth that is sensible enough usually have where he saves something in preparation for the rainy days. 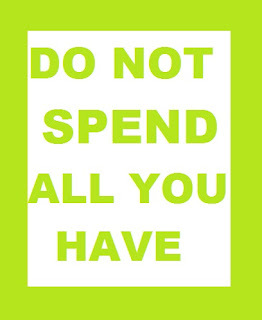 Do not spend all your money because you don't know how tomorrow will be. In that your extravagant lifestyle if you are one of the people that do that, ensure that you save before you spend. Even if your earning is small, make it a point of duty to save as little as you can before you start spending. 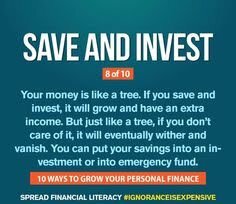 If you feel that you want to spend on your budget before you save. You may end up saving nothing. Once you are paid, take away the one you want to save first and then plan on how to spend the one you have left with you. Your ability not spending everything will integrate good management quality in you. It will make you to be a youth that have good managerial quality. In the other words, you can manage any institution or assets handed over to you. If you can manage what is small, what it implies is that you can manage what is bigger. So, do not spend all because some countries are facing difficulties today because the leaders were not able to manage the resources they had. After saving, another important thing is investment. Investment is for people that have something at hand. If you have nothing, you cannot invest. It is when you have something at hand that you can then invest to make greater profits. I know of some men that had nothing before now. When others were busy showing off, they were busy trying to gather for better tomorrow. Today, these men have made it. They are successful people today because they were good enough to discipline themselves and at the end are making good impacts in the society. They may be buying expensive materials today because they want to be called big names, yet they have nothing in their bank accounts. Sometimes, they even buy a lot without paying and then promised the seller to pay immediate they received their pay. After the pay, they could not even pay all the sellers they bought from because they owe many. Debt everywhere. Life is not a competition so endure to plan your life well. Do not follow the crowd. I have been using the sentence because of the experience I have learned in life. Youths are good at doing what everyone do. The moment you learn to live your life as an individual and not as a group, you will start making more progress as a person. As a young lady, that your group buy expensive "hair" like "Brazilian hair" does not mean you must do same. If they start pressurizing you that you must do same with them, the best thing to do is to break out from them. None of them makes your money for you and you determine how to spend your money positively. Do not be intimidated by their kind of lifestyle. That is why I said that personal/individual lifestyle is the best to live. When I newly gained my first job after my graduation from the university. I met a group of young men. As days went on, I discovered that this group like hanging out almost every evening to bars where we took some drinks and have fun. As the movement continued, I took some statistics. I found out I was spending more than expected from this kind of life. What I did was to withdrew. I refused to join again and usually got busy with my personal engagements in those hours of hang out. Before you knew what was going on, one other person withdrew. That is one of the ways to know a bold youth. Today, the group is just remaining few persons. Learn how to manage what you have and do not spend all. This article is written at the right time. Use it to plan for the new year of 2018 as a youth. Be wise and use your brain. Let them call you names but at the end be positive in your plans and life journey as a youth.